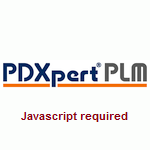 This video presents some general concepts of PDXpert software. While accurate at the time of recording, we're constantly improving our product. Refer to the current software release and its documentation for a description of the latest features.